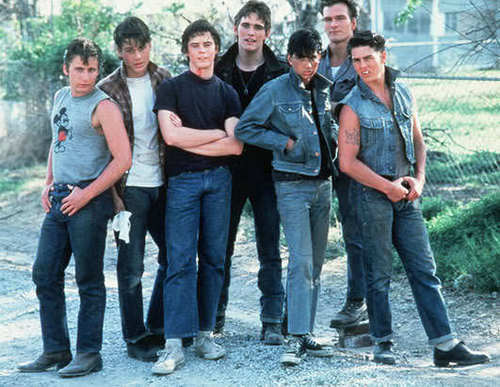 the greasers. . Wallpaper and background images in the The Outsiders club tagged: the outsiders ponyboy johnny sodapop two-bit darry dally. This The Outsiders photo contains jean, blauw jean, denim, blue jean, and blauwe jean. There might also be lange broek, bellbottom broeken, bell bottoms, bellbottom broek, bell bodems, rijbaan, and rijbanen.